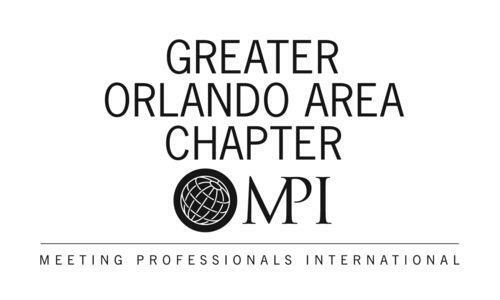 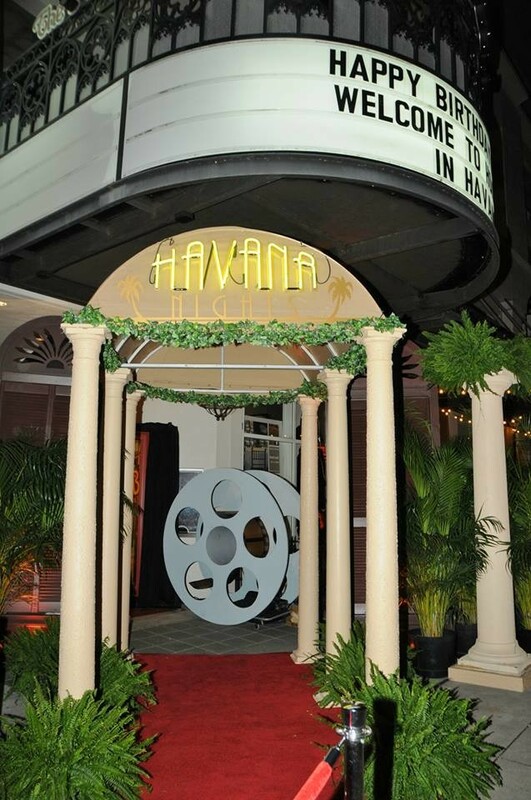 This past January, the MKE team had a great time working with Krislyn Rojas, from Eklectic Entertainment, on her Havana Meets Hollywood themed event at The Abbey located in Downtown Orlando. 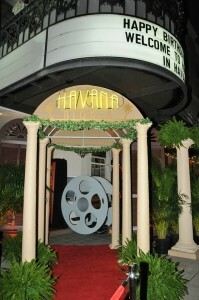 Utilizing the venues marquee out front mixed with our Havana Night’s Entry created the perfect entry for this unique event. 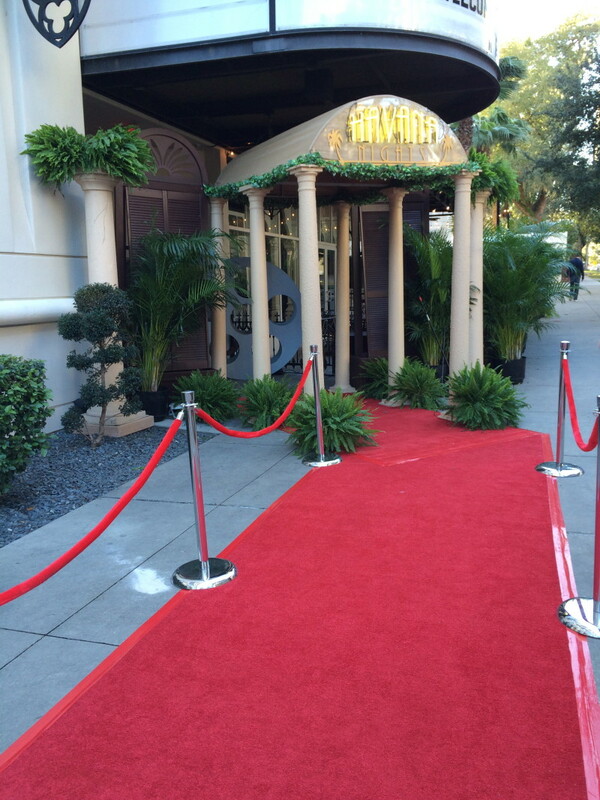 Upon entering the venue, guests got to walk down the red carpet towards the 12’ high Havana Nights canopy entry. Once they had walked through the entry, the guests were greeted with a photo-op area with various Hollywood décor, including a director’s chair, a larger than life film reel, and a Panavision camera. 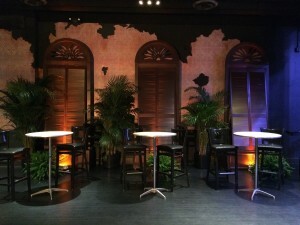 It would not have been a Havana themed event if it didn’t include some conga drums. 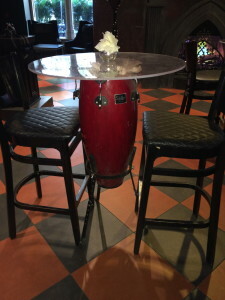 Placed by the front bar we put our conga drum hi-boys. 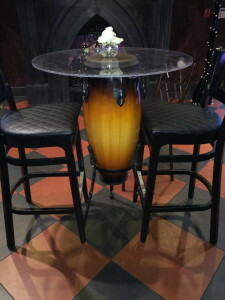 Three were used as cocktail tables, while the fourth one was used to display a painting. 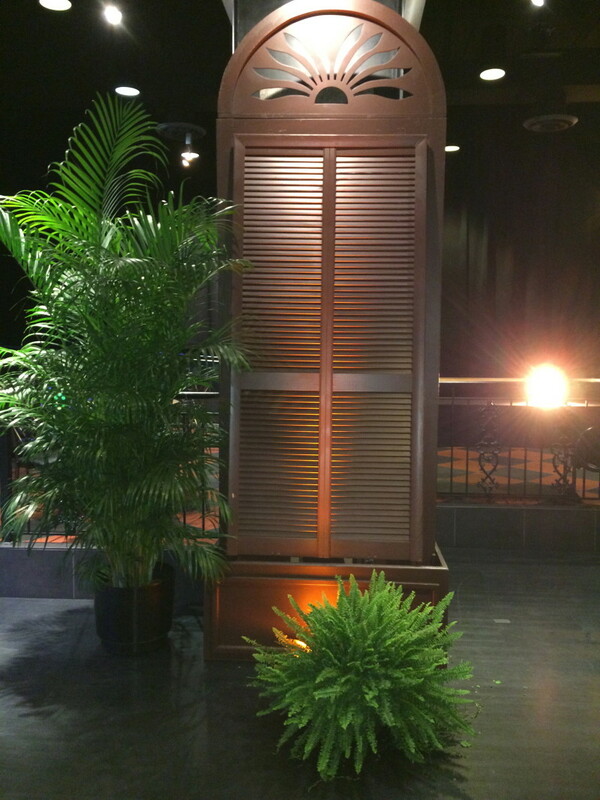 And lastly, to create a Havana atmosphere inside the venue, six of our 12’ high darkwood shutters were placed throughout the venue with foliage to complete the look. This was definitely a great touch to really create the right atmosphere for this themed event. 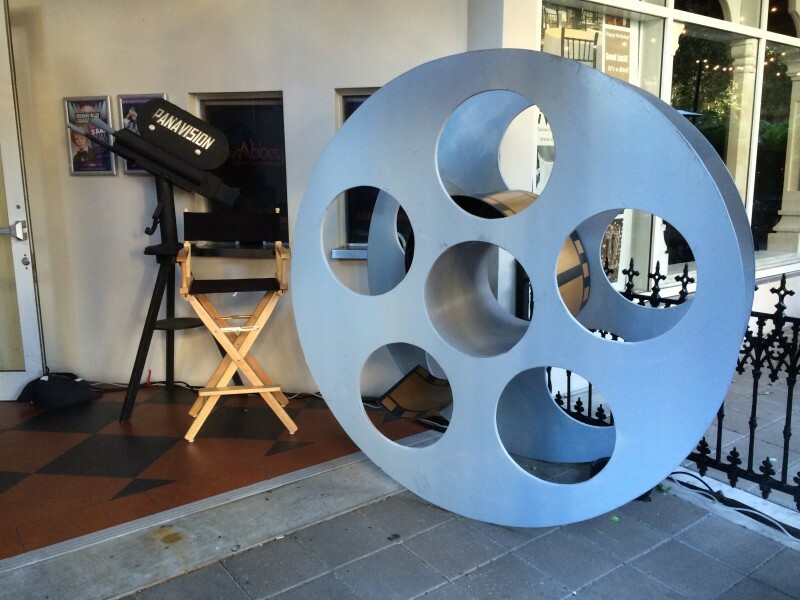 We had a blast working with Eklectic Entertainment, and look forward to working with them more in the future.